- Besides being a fabulous author, Jodi Meadows seems like just an incredible human. We've Skyped a couple times for book club but I'd love to be able to chat in person! - I absolutely admire Nova Ren Suma. She is such a phenomenal writer! It would be so great to meet her. - Kiersten White is one of the first writers I read when I first got into YA. And, all these books later, she continues to wow me. She also kind of seems like the most adorable human on the planet. - The Shifters series was my first foray into adult books and is still one of my favourites series around. I've wanted to meet Rachel Vincent since I was 15, and I hope one day I'll be able to! - Oh man, if I ever met JG, it wouldn't be a pretty sight. There would be tears and attempts to tell him the impact Paper Towns had on me and more tears. So, I both want to meet him and question if I should ever be allowed to. - Absolutely incredible author on so many levels! Also, she apparently knows how to pronounce my name properly (she signed it in my book last year at BEA) which makes me extra want to meet her. - I love her books and I love how open she's been about discussing mental health. Seriously admire her for that. - My best friend and I have deemed Rachel Hawkins "Sass Master" because her tweets are hilarious and sassy. I would LOVE to meet her to hear it in person! - Melina Marchetta is up there with Courtney Summers* as authors whose books have had a huge impact on me. I would probably cry if I ever met her. Like a lot. 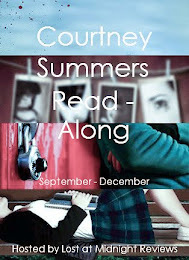 *I have met Courtney Summers before and it was pretty hilarious (as in I was so awkward my friend cried laughing). I would love to meet her again so I could try and be less awkward (although I doubt that would happen). - Although I've only read The Archived (I KNOW), Victoria Schwab has seriously impressed me, both with her book and with her tweets. She tweets some really inspiring things and I'm just astounded by how she manages to do it all! - I was 11 when I first read a Sophie Kinsella book. I wasn't a huge reader then, but I devoured her books. And I've been a fan ever since. I would love to meet the author that really got 11 year old me into reading! What are the authors you'd most like to meet? 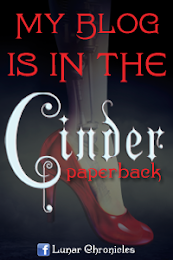 Q&A with Author Corey Ann Haydu!